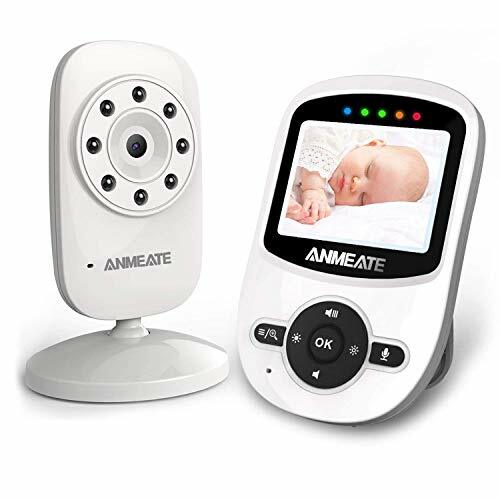 Summer Infant Dual View Digital Color Video Baby Monitor. 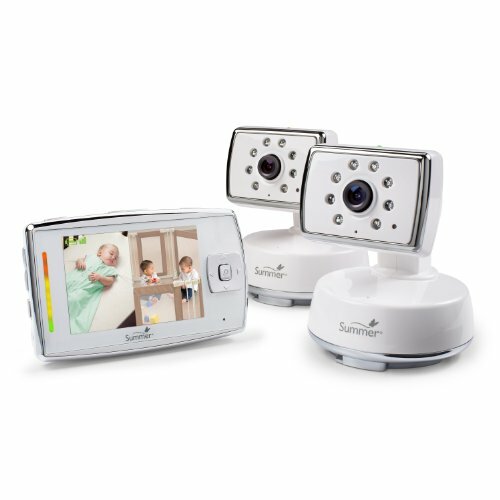 The Summer Infant Dual View Video Baby Monitor offers parents the ability to watch their sleeping child from anywhere in the house. Unlike standard baby monitors, the Dual View baby monitor allows parents to watch their baby as well as hear them. It does this through the use of a night vision camera that wirelessly transmits to an LCD screen. The monitor also offers two-way communication through the use of a microphone in the screen and speakers both in the screen and the camera. This enables parents to talk to their baby and be able to calm it without having to stop what they're currently doing and entering the baby’s room. The product features a 3.5 inch portable LCD monitor, that, in conjunction with the two cameras included, allows parents to monitor two children in two separate rooms at the same time. This saves the need for parents to have multiple baby monitors for more than one child. As well as this, the product also offers the potential to add another two cameras (purchased separately) to allow monitoring of four rooms simultaneously. All connected cameras can be watched at the same time through the use of the split screen function.As well as visual monitoring, the product also offers parents the facility for auditory monitoring of the child. If only one camera is attached, the audio feed from the camera will play through the screen’s built-in speakers. However, if more than one camera is attached, parents can choose which audio feed the listen to. The product also offers an “audio sweep” function for when the split screen mode is enabled. This cycles through the audio feed at regular intervals, allowing for parents to hear if anything is wrong with any of the children. The product also features two-way communication, so parents can talk to their babies through the monitors and calm them from anywhere in the house.The cameras themselves both a full-colour daytime mode, as well as a black and white night vision mode. This allows for parents to confidently be able to leave their children alone in a room whatever the time of day. On top of this, the cameras can also pan, scan the room, or adjust their level. This means that when the child becomes mobile, as children tend to do, the parents can watch their child wherever they are in the room.Parents also need not worry about moving out of range of the cameras wireless broadcast, as it boasts a range of 600 feet (182.88 meters), which should be plenty to monitor the baby from any room in the house. However, if the parent does wander out of range of the camera, the screen will display a warning, allowing them to walk back into range and continue receiving the broadcast. Monitor up to four rooms at the same time, from anywhere in the house and at any time of the day. Wirelessly control the cameras to be able to keep track of mobile children. Two cameras included in the product allows for the parents to keep track of two separate rooms straight off the bat. Zoom feature allows parents to zoom in on the camera image, allowing for a closer look at how the baby is lying/breathing etc. 3.5 Inch LCD screen with built makes for both portable and high-quality live footage streamed directly from the cameras. Speakers and microphone built into the screen allow for wireless communication with the baby without having to be in the room with it. 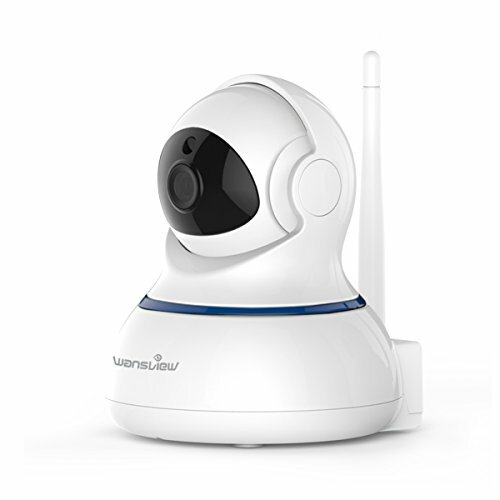 Huge range of 600 feet allows parents to monitor their babies from anywhere in the house. Six-hour battery life means that the baby cannot be monitored for an entire night without charging the camera. Only two cameras included means that if the parent wants to monitor any more children, they have to buy more cameras separately. The zoom function tends to blur the image, which can make it difficult to tell what’s going on in the image. Relatively high price for both the camera and any additional cameras needed. In conclusion, it seems like this product is perfect for parents who want to monitor up to four of their children both in an auditory and visual manner. 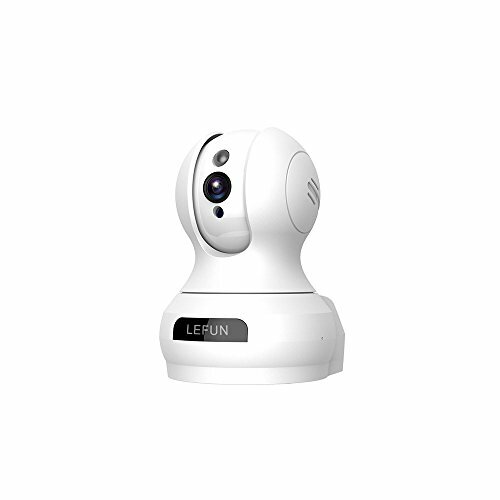 The remote controlled night vision camera allows parents to be able to monitor their child from anywhere in the room, as well as at any time of day. The extensive range the product possesses allows for the parents to be anywhere else in the house while their child sleeps in their own room, and the two-way communication means that they can talk to their child while not having to stop doing what they were previously doing.However, as this product is relatively expensive, it might be difficult for first-time parents to find the money to buy it on top of everything else they need for their child. This means that, unless parents are lucky enough to be gifted this product by someone else, a cheaper alternative may be more reasonable for them. Aside from this, however, the product seems to be perfect for its purpose, and therefore a good idea for any parents wanting to monitor their children while still being able to do other tasks around the house.